As part of some work on digital publishing I thought I’d put together a content lifecycle to help explain the implementation and gaps in technology, workflows and practices. By mapping these elements to the lifecycle it hoped we can work towards identifying areas of concern and where attention needs to be focussed. I’d be interested in any feedback or if you notice anything I’m missing. Happy to put this one out under CC BY SA as I’d love to see how people use it, add to it and modify it. Love to see your work. Content Lifecycle by Tim Klapdor is licensed under a Creative Commons Attribution-ShareAlike 4.0 International License. Based on a work at https://timklapdor.wordpress.com/2014/11/10/the-content-lifecycle/. Getting some server space over at Reclaim Hosting. Getting your domain name sorted (you get a free one with your Reclaim plan but I had a couple of others floating around that needed consolidation). Mapping out the services and components that I currently use. Mapping out the services and components I want to use. That’s what I’ve been worked on so far. Over the weekend, while battling with flu and toddler tantrums, I managed to start the next stage which is to begin to build and design my space to start migrating stuff to the server. I installed WordPress Multisite on timklapdor.me where I’ll be setting up a number of sites for different and specific purposes. This will give me some flexibility to change and migrate over time, and also not lump everything into a single mega site. I like the idea of this way of working and centrally managing WordPress means that plugin and theme deployment is simpler and easy. The great thing about cPanel and Installatron is that I can easily install a myriad of other software too – wikis etc – to suit whatever else I might need or want down the line. I’ve set up one such site to take over all my curated bits and pieces from the web – Miscellanea. It’s using the ExpressCurate WordPress Theme & Plugin to provide the functionality and it comes with a Chrome Plugin so that the process can be quick and painless. I have had a play with Digital Ocean as a cloud based server infrastructure for all this but to be honest it’s still a bit new for me. I can see a place for it, but am thinking I might use that as a Lab space – somewhere I can quickly spool up something to test on – anything running Node.js especially. At $5 a month it’s pretty good value. – And a richer personal Profile that includes: Resume, Portfolio, Badges, Publications and Presentations. – Dropbox – easy, interoperable and an offsite backup. – iTunes Match – my music backup in the cloud. – iCloud Drive – I’m still looking for a good backup solution for my Aperture library, and integration in next iOS will be a good thing for simplicity. And to round things off I’m hoping to shift my use of other services to function merely as external publishers. So it means keeping an active profile – but looking at POSSE as a model to remain connected to Twitter, Google+, Flickr and Facebook. It will be a bit of an ongoing project, but one I’m actually looking forward to tackling. I have a lot of debris scattered around the web after more than a decade so it’s a good opportunity to clean it up and give what I want to keep a bit of polish. 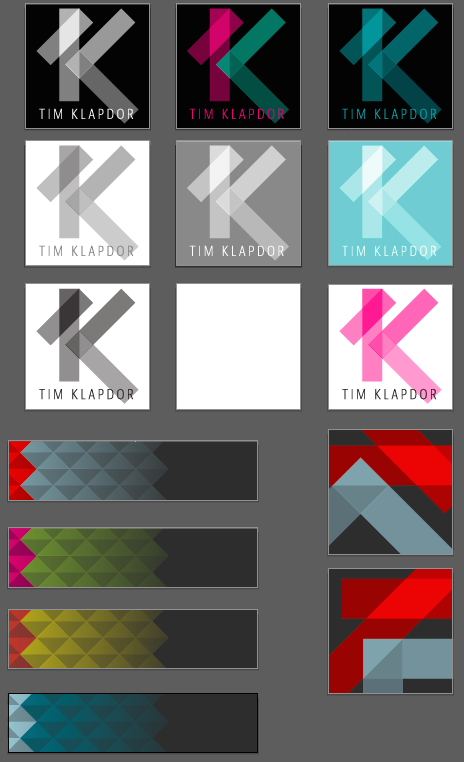 I’m also enjoying doing some of the simpler things – like designing a bit of a logo and visual conceptual for myself. The banner image from timklapdor.me is something I spent some time on over the weekend. I loved getting back into Illustrator and playing, creating and experimenting visually. I think I’ve got something I actually like – which for any designer is often the hardest thing! – and it will be able to work across pretty much every application I can think of. It also has flexibility built-in – meaning I can change colours and images to suit what I’m trying to do. Should be fun! I’ve used this table a couple of times over the last couple of weeks and a number of people have asked if they can use/borrow/build upon. The simple answer is yes! I’m happy to release the idea and the image under creative commons. Feel free to use the image up on Flickr or Copy and paste the table below. PC Age vs Mobile Age by Tim Klapdor is licensed under a Creative Commons Attribution-ShareAlike 3.0 Unported License. Is innovation actually different from progress or change? Isn’t it often just evolution being applied outside of a biological and genetic setting? Does innovation occur the first time, and only the first time, something is practiced? Or can innovation occur repeatedly? Is it innovation when it happens in a local context – i.e. the first time I try a technology – or just in the global sense? Is adoption an actual part of the innovation process at all? Innovation seems to be one of those words that’s lost its sense of meaning because its being applied to everything! I chose a maroon shirt to wear – INNOVATION! I started using a bit of software – INNOVATION! Innovation has got to point where it now needs to adopt quantifiers – disruptive or sustained – and apparently there are 10 Types or Four P’s depending on what/who you read. Quantifying innovation seems like a interesting field. …but to be honest that all seems wrong – it’s all too planned, managed and organised. I’m not necessarily saying this is all wrong – but it’s a daguerreotype – where we intellectualise the image of innovation that’s been created rather than the reality it came from – its true self. When I sit down to imagine innovation I get real sense of chaos, of mischief, of mistakes & errors, of bending and breaking the rules – not of a neat little box, a graph and a clear category. It’s not something we can just prepackage and deploy – otherwise everyone would be doing it and the reality is that very few actually are really innovating at all. It’s just appeared in the lexicon of organisations with little sense if what it actually means. The neat little version we can categorise isn’t really the actual process of innovation – but what it looks like after the fact, the aftermath, just the concept itself divorced from the reality of getting there. According to historian Benoit Godin, for more than 2,500 years, the innovator was “a heretic, a revolutionary, a cheater.” Innovators brought little but trouble: They challenged the status quo and undermined the stability of the state. As late as the 1940s, innovation was seen as a form of deviant behavior — like crime or delinquency. This quote stirred something in me and forced me to really question what innovation actually is. I don’t think it is simply change, progress or growth as they are all measurable and easy to define. Neither is innovation the implementation of something that already exists. To me innovation is more chaotic and organic with the whole process being messy, contradictory and confusing. Innovation is about the process of thinking, doing, reflecting, tinkering and deconstructing the very foundations we base our ideas. Despite all of this chaos the end result, what is eventually created and formed, is often unrivalled in its clarity and vision. Innovation is a blend of both the destructive and creative. After all that I’ve come to this: Change comes in cycles & Innovation in waves. People, organisations and companies are all moving forward, changing and adapting to new environments – but is that actual innovation? It seems more evolutionary – a cycle of frequent and managed adaptions to broader and significant environmental and cultural developments. Change isn’t something that stops because entropy is fundamental to the universe and as such we just have to come to terms with it as a constant. However, because it is a constant we can develop equations on how to deal with it. Change is really a cycle, as history repeats itself it just changes the actors and sometimes the outcomes. Innovation however is less predictable, seemingly random and quite rare. Over time it builds but at some point it always dissipates – whether that be through wide scale adoption or abject failure. Sometimes the waves can build up to a point that they destroy products, processes, positions and paradigms with them. Other times they are just a ripple we barely feel before it fades into nothing. Many organisations that wish to be seen as innovative decide to just ride the wave but that isn’t a particularly safe or predictable path. No, if you’re looking for something safe you can’t really innovate, or even ride the wave, you have to wait for the change to be upon you. If however you want to be an actual Innovator you have to make the waves. There is no choice in that. This is why innovation is truly rare and uncommon. You have to either make a big splash or be willing to put in the resources, time and support to build up momentum, acutely aware that it will all end and dissipate at some point. Sometimes it changes into something else or feeds back into the ocean to form another wave, but it always ends. This way of thinking has made innovation seem more tangible and less of a label to me. It also prompts further thoughts about how change and innovation relate and interact. I was reminded of an image I created a couple of years ago when I first was putting some ideas about innovation – change creates innovation and innovation creates change. It’s a cycle of two unique and separate processes that interact and feed into each other. 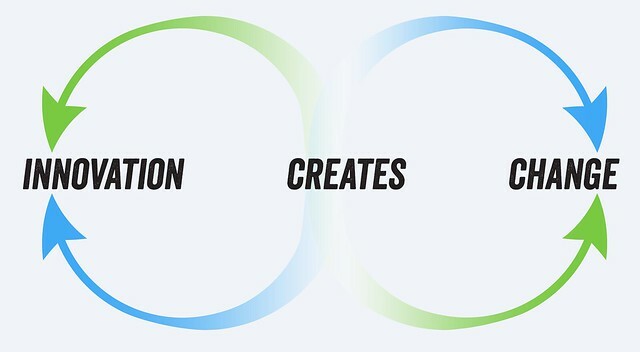 Which means there is a space between the two that needs further investigation – how innovation becomes change and change becomes innovation. It’s also made me understand more clearly what it is that organisations want when they say they want innovation. While they might want the experimental aspects of innovation to be part of their process, what they really want is to be better at change. They want to be more active and agile in their response to change. They want to be able to be part if that process earlier, to feed into it, rather than wait till their back is against the wall and they have to do it. But that’s just not innovation. 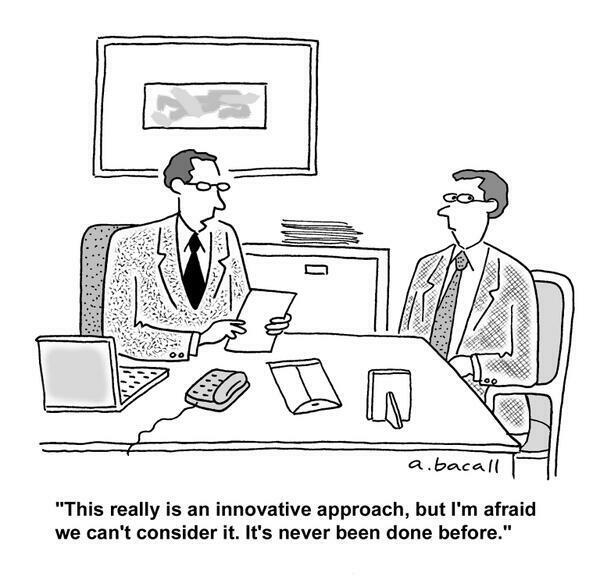 That’s not being innovative but it is something more manageable and achievable because change is a defined process. It might require fundamental repositioning in terms of markets, staff, process and organisations structure (I never alluded to it being easy did I? ), but it is achievable. It’s really not about innovation, it’s about change. This is a fairly recent way of thinking for me – as in the last three days – I want to mull through it some more. The more I think through it and unpack the real examples of innovation (the hothouse that is Apple for example) the more I think I’m onto something. This is my first post in an attempt to “work out loud” i.e. to be more open in my practice rather than just my output. It’s an attempt to log my current ideas and concepts around a topic to frame it, share it and reflect back at a later date. One of the things I’ve been interested in over the last decade is the convergence of digital tools with traditional analogue publishing processes. Working in the design field I’ve been at that coalface and published my own fair share of both digital and analogue artefacts. The last 5 years have seen a massive shift and a chance for digital to move into the analogue print space with viable and attractive alternatives. Smartphones and tablets (and everything in between) offer new opportunities and potential to fundamentally change publishing – how we see it and how we do it. What’s become abundantly clear though is the lack of tools that can take it to the next level. Most of the popular tools have been co-opted from print and bring with them legacy concepts and constraints. While they may seem adequate they tend to lack the ability to realise the potential of a true digital publishing model. As part of the mLearn project I’ve been heading up, we investigated what options we have as a university to transition our content to a mobile platform. The results weren’t pretty. Nothing was easy. Conversion was never precise and required manual manipulation to massage it into something viable. This is fine in individual cases but not for the scale we require at Charles Sturt University. What we want as an institution is a way to author once and publish out to many channels, so that our students get to choose how and on what platform they can consume our content. It’s a realisation that our students are diverse, with diverse needs and desires and a one-size-fits-all solution never really fits anyone. The first big idea was the need to start thinking beyond text. Technically text is easy – if you get a properly marked up document you’re fine. Perhaps that ‘if’ is harder to come by in some cases, but what I’m trying to say is that text is not the problem. No, the sticking point is media. Media is all the other ‘stuff’ that’s possible to place in and around the text. The data tables, diagrams, images, video, audio, activities, quizzes – it’s everything else that’s possible with a digital medium. These are where the problems lie, the challenges and the break points. Media brings to the fore the inherent differentiation between print and digital and in many cases defines them as unique and different. However the goal is not to wipe out print and replace everything with digital. I’d rather see but cohabitation – working and publishing to both, to all forms, platforms and spaces – not adversarial but complementary and certainly not the death of analogue. My skill set and knowledge is something I consider quite unique. I straddle the multiverse, working on the fringes of many realities – analogue & digital, offline & online, web & print, commercial & public. So it’s within this divergent conversation I have been able to pick up on common strands. Twitter has been immeasurably important in this process – allowing me to tap into many new fountains of knowledge and expose my brain to new ideas. I pick up on the content strategy discussions, with particular resonance are those from Karen McGrane. The thinking around responsive design from Ethan Marcotte. The emergence of new ideas from Brad Frost. 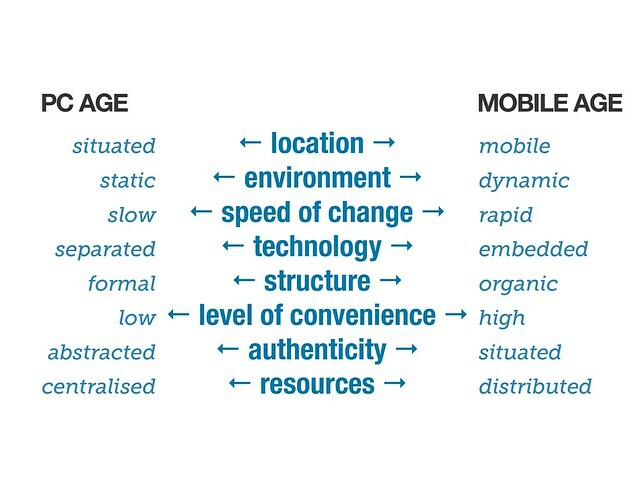 The process of Mobile First from Luke Wroblewski. The backend work by guys like Dave Olsen on creating better tools for adaption. The discussions around the Content Management Systems – their pros and cons and place in the new age. Ideas from Jason Grigsby struggling with responsive images that cope with retina and standard displays. The dynamic and active content concepts from Brett Victor. What I’ve been working through is aligning those ideas. Cherry picking concepts that resonate with my work and trying to formulate those into something we can work on in the project, and I think I’ve got there. Metamorphosis means to change form. It’s an evolutionary model whereby there is conspicuous and abrupt transformation accompanied by changes in habitat or behaviour. That concept, that idea, that process – I could see vividly how that related to what we want our publishing systems to do. Not just simply respond, but adapt to a specialised form uniquely suited the mode of delivery. The next big question was how. This diagram shows how a single AME appears in the editor as well as all the individual components that could make up an AME. The AME is replaced by the individual components relevant to the publishing output. In this example a video AME is converted into a DIV with the associated elements and attributes coming from the library. To some extent this is possible through customised web solutions, but not to the mainstream, not directly linked to an authoring system and not across many channels and platforms outside the web environment. Developing a process based on metamorphosis and that’s a suggested word? C’mon that’s fate, amirite! Describes the three main theoretical components of the system. While I had this initial model I needed some other voices and opinions and was able to bring in the team. Rob and Rod bought some structure and order to my very sketchy ideas. From there we were able to start to define the functionality of each component. The authoring environment can look and function however one may see fit – but what it essentially creates is structured content. Text creates the narrative structure required for publishing. The AME Library operates as a database of all the individual components required for each element. Many different types of AMEs can be defined and each would have their own separate components listed. Adding content to the library would be similar to a form with predefined fields. The authoring environment would contain a tool to insert an AME into the narrative so that all elements were contextualised and embedded, rather than hanging off the side. The transformation engine is when the logic is applied (defined as “PHP magic” in our early discussions). It would scan through the document and find each of the AMEs and using a predefined profile insert the relevant components from the library into the markup. Profiles would be defined for each output required, so many could be developed and applied to one source to ensure specialised output. Our initial focus was on three – for print, eBook and Web – but these profiles could be customised and sub divided down much further. Profiles could be developed for specific media, platforms or content restrictions e.g. at CSU we have to deal with separate copyright restrictions depending on delivery via print or online. The compiler would then do the final render out and attach the presentation layer dumping out the finished files and folders. Illustrates how the profiled markup then goes through the transformation and compiling process to output the finished files. What we tend to do at the moment is simply transcribe content from one format or file type to another. This is incredibly time-consuming and inefficient, and tends to focus resources on manual transcription of content rather than capitalise on the logic inherent in the machine. At the same time there is a drive to provide greater diversity in publishing options. We find ourselves in a quite untenable situation In quite broad terms the world has changed but the tools haven’t kept place. We need better tools and better processes. Authoring is separate from publishing. They co-exist within the same system but there is clear delineation to address quite different requirements. Content should be seen as liquid, but presentation is many faceted and required to conform to certain constraints. In much the same way authoring should be simple and intuitive but publishing needs to be complex and extensible. Through separation of form and function we can achieve a much smarter tool that capitalises on the inherent abilities of machine and human, rather than forcing one to compromise for the other. This creates a future friendly system for publishing that will remain adaptable into the future. New components and AMEs can be added as needed and new profiles developed as new standards, formats and platforms are released. Instead of re-encoding, re-creating and translating content into each new format as they arise, the process can be automated and structured based on logic that can automatically be applied to all content. Authors can look after the creation and developers can look after the backend. At the moment we are only looking at developing a proof of concept, so at this stage we would adopt a static publishing model – so you would need to initiate the process rather than it being dynamic. This is to impose the rigor of form, and using the act of publishing to provides the temporal constraint of a beginning & an end. This minimises the complexity of the system as we won’t be required to maintain versions or host live content. Instead we will leverage our existing systems – a digital repository and LMS – which are far more capable in these areas. Our needs within the university are also centred around the temporal constraints of sessions and semesters, so we want something to remain static for their duration. That said we can envision that the model could be adapted further for use in a dynamic system. So that’s where we are at the moment. I’ve started to sketch out some of the required AMEs that we need as well as looking at and scoping products are out there that can do what we are proposing. My feeling is that customising an existing CMS might be the way to go, but I am open to ideas. If you would be interested in collaboration or finding out more please feel free to contact me.